Canada has repeatedly used naval might as a “diplomatic” tool. According to Royal Military College historian Sean Maloney, the first recorded instance of Canadian gunboat diplomacy was during the Mexican Revolution. In 1915 HMCS Rainbow was dispatched to protect British interests and the expatriate community in the Pacific port city of Mazalatan and later that year Ottawa sent the Athabascan destroyer a little further south to Manzanillo. In May 1963 two Canadian naval vessels joined US, British and French warships that “conducted landing exercises up to the [Haiti’s] territorial limit several times with the express purpose of intimidating the Duvalier government.” The 1963 mission was largely aimed at guaranteeing that Duvalier did not make any moves towards Cuba and that a Cuban-inspired guerilla movement did not seize power. The next year two Canadian gunboats were deployed to Barbados’ independence celebration in a bizarre diplomatic maneuver designed to demonstrate Canada’s military prowess. Maloney notes: “We can only speculate at who the ‘signal’ was directed towards, but given the fact that tensions were running high in the Caribbean over the Dominican Republic Affair [1965 US invasion], it is likely that the targets were any outside force, probably Cuban, which might be tempted to interfere with Barbadian independence.” Of course, Canadian naval vessels were considered no threat to Barbadian independence. 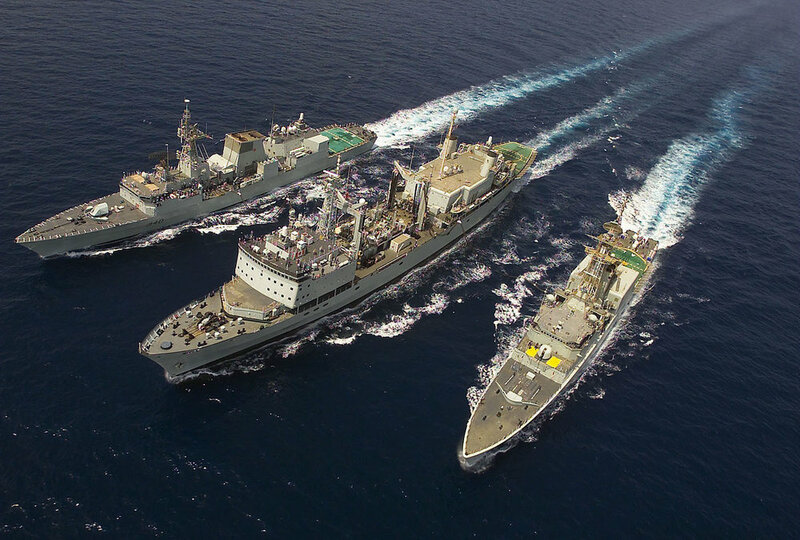 The following year HMCS Toronto participated in a six-ship task group of the Standing Naval Maritime Group 1 of NATO that traveled 23,000 kilometres around the continent. Oil largely motivated operations off Nigeria’s coast. Nigeria’s Business Day described NATO’s presence as “a show of force and a demonstration that the world powers are closely monitoring the worsening security situation in the [oil-rich] Niger Delta.” More broadly, the objective of circumnavigating the continent was to develop situational knowledge of the various territorial waters, especially Nigeria and Somalia.